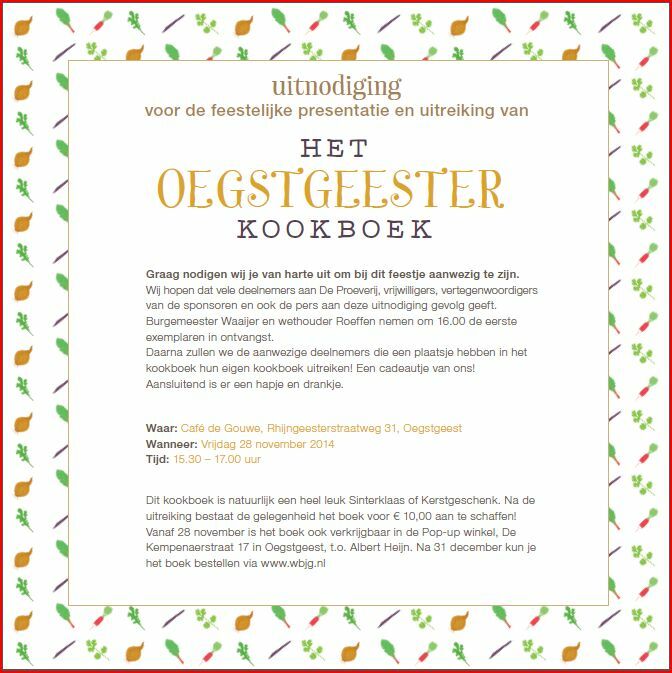 In this original cooking book, 35 recepies from people living in Oegstgeest (The Netherlands) were collected. The participants previously demonstrated their chef-abilities during the interactive event ‘Proverij’ in September, where the delicious dishes could be sampled for free. 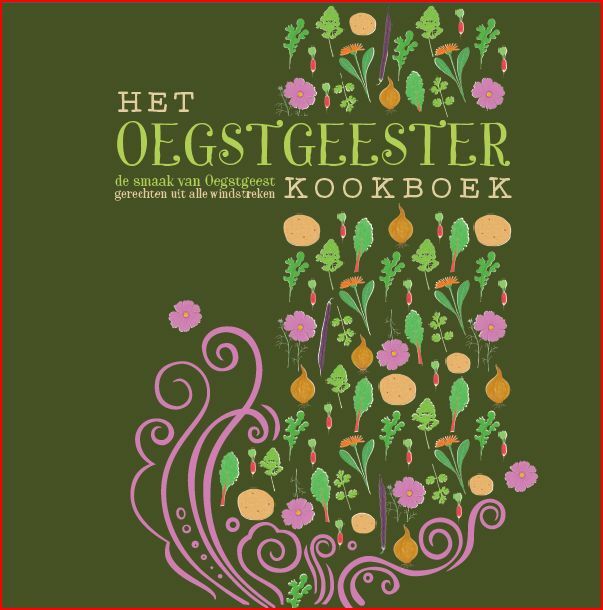 The initiative to create tasty recepies from plants freshly harvested in our back yards and publish them in our very own ‘Oegtsgeester kookboek’ came from the ‘Stichting Wat ben jij gegroeid’. Thanks to the initiators! Everyone is welcome to attend the presentation of this wonderful Oegstgeester koekboek, which is full of delicious recepies from our backyards. Where? Cafe ‘De Gouwe’, Rijngeesterstraatweg 31, Oegstgeest.